In this Pandahall tutorial,you will learn something about how to make a DIY beaded Christmas bracelet for women, hope you like it. 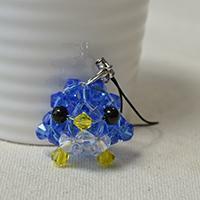 This video tutorial will show you how to make a blue beaded bird craft for kids. Hope you like it. 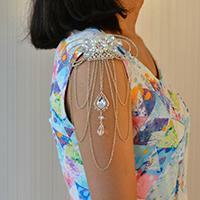 Looking for shoulder jewelry? This tutorial will show you how to make a bead and chain shoulder jewelry. Glass beads look clear. 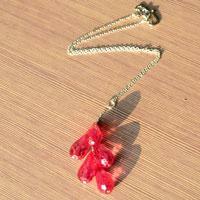 And this tutorial will make a glass pendant necklace with the drop glass beads in pandahall.com. You can make it with us together. Here is a quick wooden jewelry making tutorial on how to make a beaded bracelet using wood beads and elastic cord. 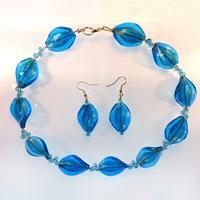 It is a relatively easy bead craft for kids to work with! Here is a demonstration on how to make a leather wrap bracelet. Using your own black leather cord and orange beads, take about half an hour for a festival beaded leather wrap bracelet! 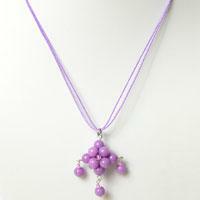 In this beginner’s jewelry making tutorial we’ll show how to make your own pearl necklace. 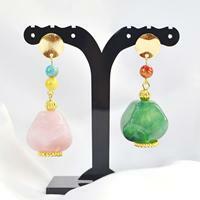 Meanwhile, customize it become more vogue, typical and in fashion. 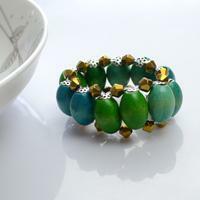 It’s easy to create bracelets for special themes when you follow our easy jewelry making ideas. 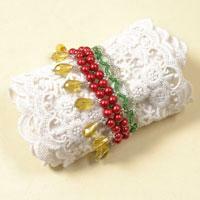 Here is a 10-minute project is about a simple memory wire bracelet for Halloween! 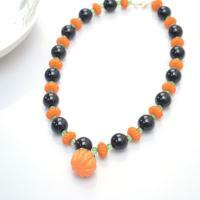 How to make a Halloween necklace? This adorable orange, black and green chunky beaded necklace is so fun and festival! Learners at any level can make in no time! We all want a special and cool bracelet. 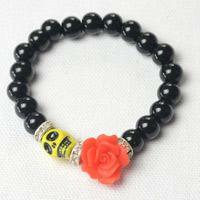 The Halloween is coming, and we will show you many ideas about Halloween jewelry. This time we tell you to make a black rosary beaded bracelet. 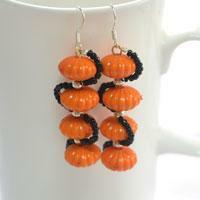 Wearing a Halloween pumpkin earring is a good choice for Halloween! 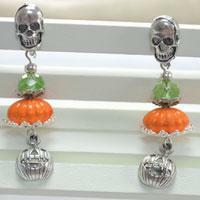 Now A fabulous and cute pumpkin earring will be shown here, and the earrings suitable for not only adult but also children. If you are looking for easy Halloween craft ideas to accessorize your Halloween outfit, congratulations, you have come to the right place, because we will share with you the skull pumpkin design. 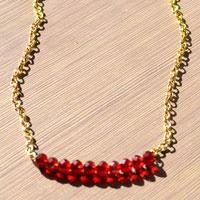 In this article, we will make a red beaded necklace. You can also make one just with several easy steps. 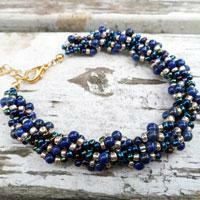 This DIY beaded necklace tutorial is to show you how to make a triple wire twist necklace with blue foil glass beads. Hope you enjoy this necklace making! This jewelry craft for kids is fun for the whole family! Using a few colorful acrylic beads and eyepins and you are allowed to create the kids beaded necklace within 10 minutes! 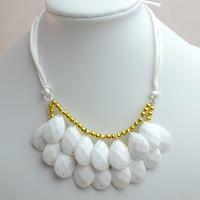 Free jewelry making instructions about how to build your very own bib necklace, style with opaque white acrylic rhinestone bead and gold spacer bead; each step is showed with pictures!